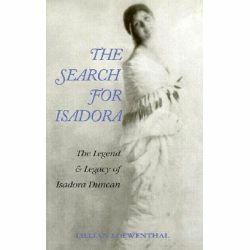 The Search for Isadora, the Legend and Legacy of Isadora Duncan by Lillian Loewenthal, 9780871271792. « The Secret Life of Houdini, The Making of America's First Superhero by William Kalush, 9780743272087. Informacje o The Search for Isadora, the Legend and Legacy of Isadora Duncan by Lillian Loewenthal, 9780871271792. An appreciation of one of the 20th century's most significant artistic influences. A Main Selection of the Dance Book Club. Produkt został dodany 08.09.2014 16:34. Ostatnia zmiana danych produktu miała miejsce 08.09.2014 16:34.